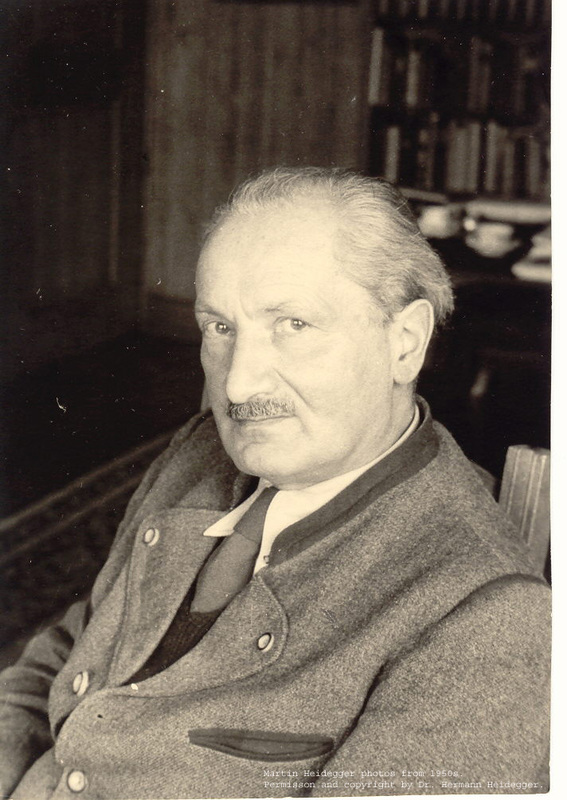 Web site about Martin Heidegger (1889-1976) and his philosophy. Ponderings XII–XV: Black Notebooks 1939–1941. Published: 2017 by Martin Heidegger, Richard Rojcewicz (Translator). If you are interested in Heidegger on Heidegger! Verlag: Klostermann, Vittorio; Auflage: 2018. There is a 27 pages table of contents in German. "Qui me non nisi editis novit, non me novit." GA 3, dated: Freiburg i. Br., im Juni 1950, page XVII.). GA 3. Kant und das Problem der Metaphysik (1929). “9. Objection to the book: I have even today still not enough enemies—it has not brought me a Great enemy.” (Ponderings II-VI: Black Notebooks, page 8). Martin Heidegger. “People are waiting for the second volume of Being and Time; I am waiting for this waiting to cease and for people to finally confront the first volume. (Ponderings II-VI: Black Notebooks, page 135). Martin Heidegger. have chosen that one, and I will tell you how far you yourself have entered into the domain of thinking.”(Ponderings II-VI: Black Notebooks, page 275). Martin Heidegger. Heidegger wrote, “…all philosophy from first to last merely unfolds its presupposition.” In his Hegel’s Phenomenology of Spirit, et. page 36). Clearly, Heidegger wrote this in the context of Hegel. Überdenken wir diese Aufgabe des anderen Anfangs (die Frage nach dem „Sinn“ des Seyns in der Formel von „Sein und Zeit“), dann wird auch deutlich, daß alle Versuche, die gegen die Metaphysik, die überall – auch als Positivismus – idealistisch ist, reagieren, eben re-aktiv und damit von der Metaphysik grundsätzlich abhängig und somit selbst Metaphysik bleiben. (Beiträge zur Philosophie (Vom Ereignis) (1936-1939) (GA 65, p. 173). Ferrer, D.F. (2016). Martin Heidegger on the Greeks: An Index. Ferrer, D. F. (2016). Martin Heidegger 1910-1932: An Index. Ferrer, D.F. (2016). Heidegger Überlegungen XII-XV (GA96): An Index. Martin Heidegger. Recent books in German. GA 80.1 Vorträge Teil 1: 1915-1932, ed. Günther Neumann 2016. 526p. 13 texts. GA 73. Zum Ereignis-Denken, ed. P. Trawny, 2013, 1496p. GA 84. Seminare: Leibniz - Kant - Schiller, ed. G. Neumann, 2013, 894p. GA 94. Überlegungen II-VI (Schwarze Hefte 1931-1938), ed. P. Trawny, 2014, 536p. GA 95. Überlegungen VII-XI (Schwarze Hefte 1938/39), ed. P. Trawny, 2014, 456p. GA 96. Überlegungen XII-XV (Schwarze Hefte 1939-1941), ed. P. Trawny, 2014, 286p. GA 97. Anmerkungen I-V (Schwarze Hefte 1942-1948), ed, Peter Trawny 2015, 528p. Ponderings XII-XV: black notebooks 1933-1939. Bloomington: Indiana University Press, 2017. Pages 1-366. (GA 95). (Studies in Continental Thought), May 2016. Pages 1-399. (GA 94). Beginning of Western Philosophy Interpretation of Anaximander and Parmenides (GA 35). Translated by Richard Rojcewicz, Indiana University Press, 2015. Nature History State 1933-1934 (GA 66). Translated and edited by Gregory Fried and Richard Polt, Bloomsbury, 2015. Introduction to Philosophy Thinking and Poetizing (Studies in Continental Thought), 2016. Interpretation of Nietzsche's Second Untimely Meditation (Studies in Continental Thought), 2016. The History of Beyng (Studies in Continental Thought), 2015. On Hegel's Philosophy of Right: The 1934-35 Seminar and Interpretive Essays (Bloomsbury, 2014). Translated by Andrew J. Mitchell. Basic outline of the known Heidegger notebooks. There are 34 or 36 notebooks from 1931 to 1976. Reflections or Ponderings (Überlegungen) [14 books] 1931 and 1941. All published. Observations (Anmerkungen), [9 books]. One group published so far. Four Notebooks (Vier Hefte); two actual notebooks. Two Vigils (Vigilae); two notebooks. Megiston and Fundamental Words (Grundworte); two notebooks. So, as you can see many of these notebooks have yet to be published in German as February 2018. Stay tuned. Lots of open questions. Peter Trawny the editor makes a note about the total number of Martin Heidegger’s notebooks as being 34 or 36 (written from 1931-1976). »Vorläufiges«. Daneben haben sich zwei weitere Hefte mit den Titeln »Megiston« und »Grundworte« gefunden. Ob und wie sie zu den »Schwarzen Fleften« gehören, muß noch geklärt werden. Die Bände 94 bis 102 der Gesamtausgabe werden in den nächsten Jahren die vierunddreißig zuerst genannten Handschriften enthalten.Die Entstehung der Hefte umfaßt einen Zeitraum von mehr als vierzig Jahren.” Nachwort des Herausgebers, GA 94, page 531. Trialogue between Heidegger, Nietzsche, and Nagarjuna in Todtnauberg. was in the unpublished (Nachlass) writings and not in Nietzsche’s published works. His philosophy proper was left behind as posthumous, unpublished work.” (MH). Nietzsche's Notebook of 1887-1888. By Friedrich Nietzsche (1844-1900). Nietzsche's Last Notebooks 1888. By Friedrich Nietzsche (1844-1900). Copyright 2003-2019, Daniel Fidel Ferrer, Alfred Denker, and Martin Heidegger family.